The obvious is the fruit and veg. Gauging by how busy the coffee stalls are it seems many make it a social occasion. While fresh fruit and veg is always on my list, my equal priority is to get hold of some yummy snack foods – some to eat on the day and others to hide away in the freezer. Here are my current favourites – and there are many more – and new ones are always being tried. Top of my list is Food 4 You – in ‘The Little Red Tent’. There’s always a swag of their creations in my freezer. My recommendations? 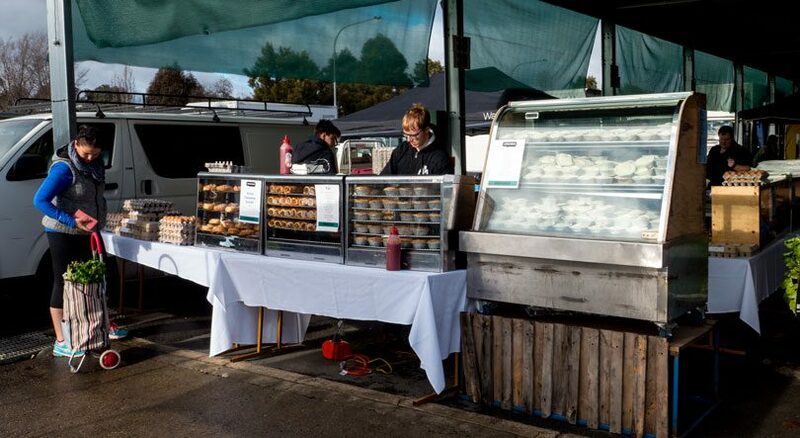 While they have an array of take away hot foods on the right, have a look to the left of their table and they have about 10 different plastic trays of their pre-prepared foods. The selection usually includes dumplings, samosa, spring rolls and an assortment of other temptations. May I recommend trying the samosa at home but not by deep-frying cooking. After a couple of minutes to defrost them, a slow cook in non-stick frying pan with very little oil, and maybe finish with a little lemon juice – and with the option of sprinkling a little favourite herb (Asian etc) in the final moments of cooking. I like to allow them to cook until just starting to brown. The spring rolls can also be cooked in a similar manner – much better than deep-frying. Mentioning pastry leads me to one of many bakeries. 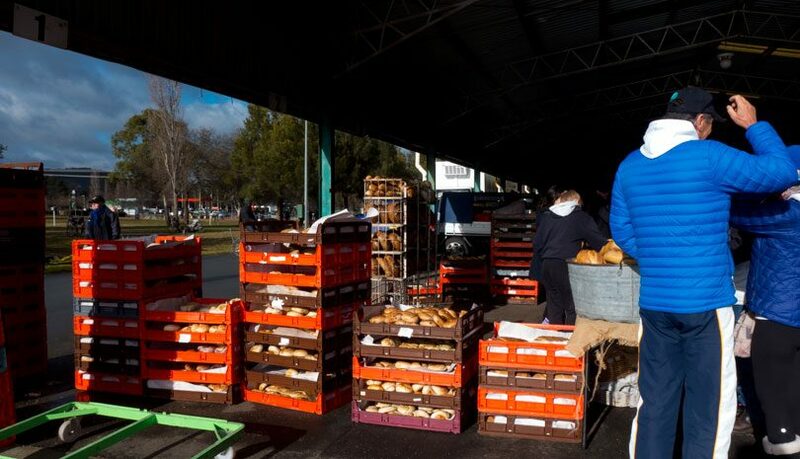 This is the one I have visited most lately- Bread Nerds (above). I wish you luck with this stall as there is just far too many temptations. Yes you could settle for delicious fresh loaves, but how could you resist all the pastries. 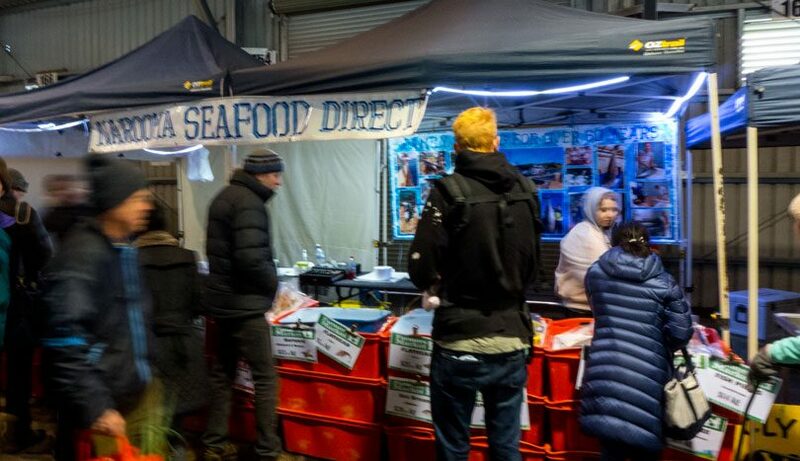 There are a couple of fresh fish outlets – again all good. I have been a fan of Narooma Seafood for years now. Their Trevalla, Swordfish, flathead or Rudderfish are just a few of the selections that I pack away in the freezer. The Trevalla (when available) is a wonderful thick white fish that is best cooked slow with lemon (in a lidded frypan) and served with a hummus sauce put together with a plain hummus, a few spices, extra oil and lemon. Just outside the northern entrance is a tent from which come the world’s best apples and pears. 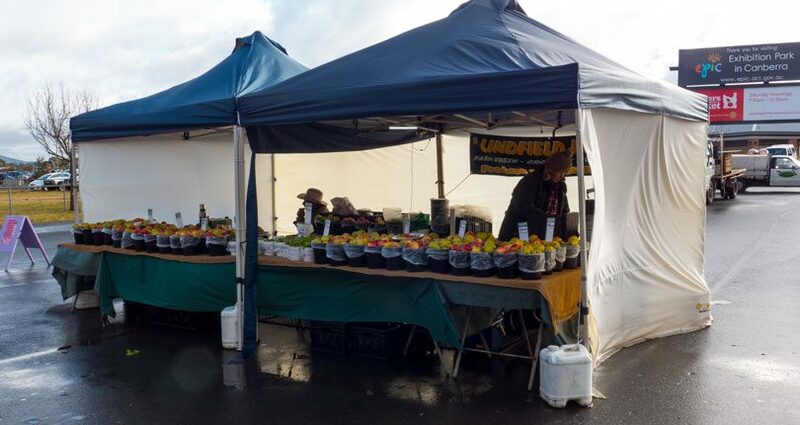 Once you have had the fruit from Lindfield Park Produce, you will never go back to the supermarket variety. When they in season, they have their own label apples – which I think are called Bell-Macquarie – they are super delicious! There are too many stores with great vegetables – so I am not going to venturing into making any recommendations for vegetables. Just go for it! 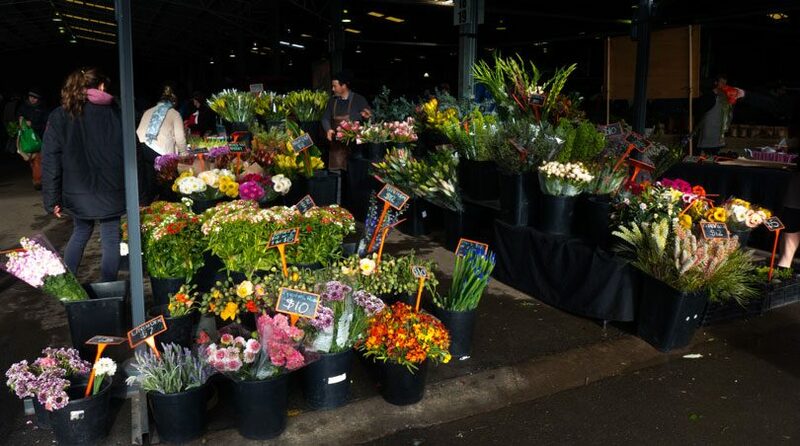 Before you leave the markets, think of those at home and maybe take home some flowers. There are a couple of stores – all good. The one I have purchased from recently is Canberra Colour. Their flowers last for ages – and again – you will never return to the supermarket for flowers once you try these. 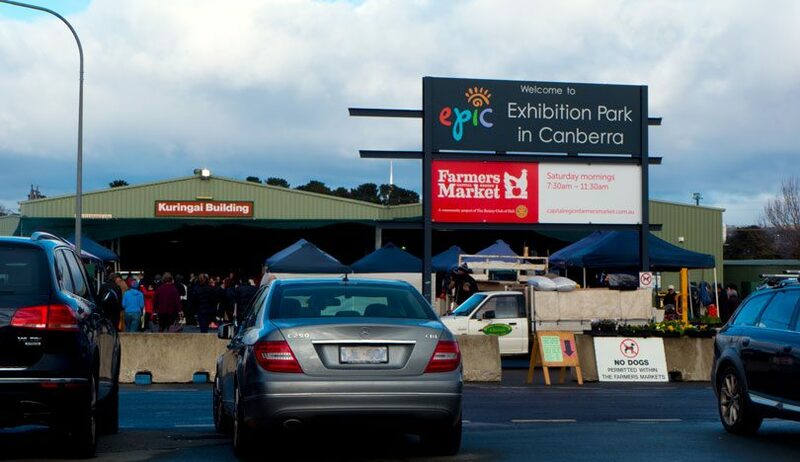 The Canberra Regional Farmers Market operate most Saturday mornings. 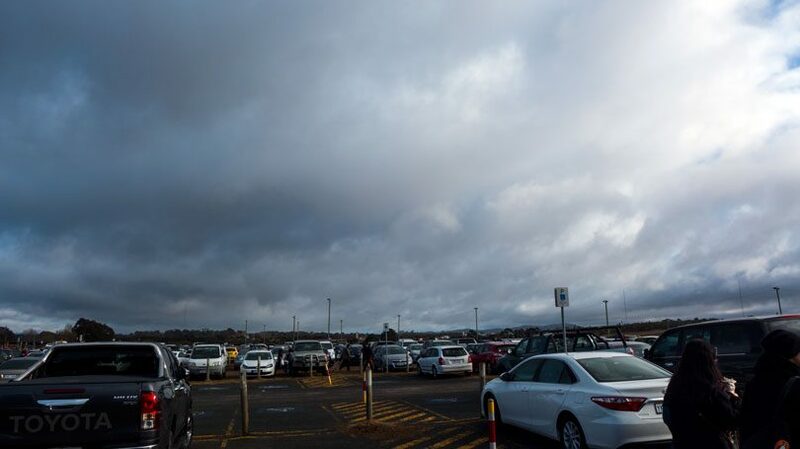 It was amazing back in July/August when it was freezing out there, just how many people venture out early to wander through the sheds to pick up their treats for the week. 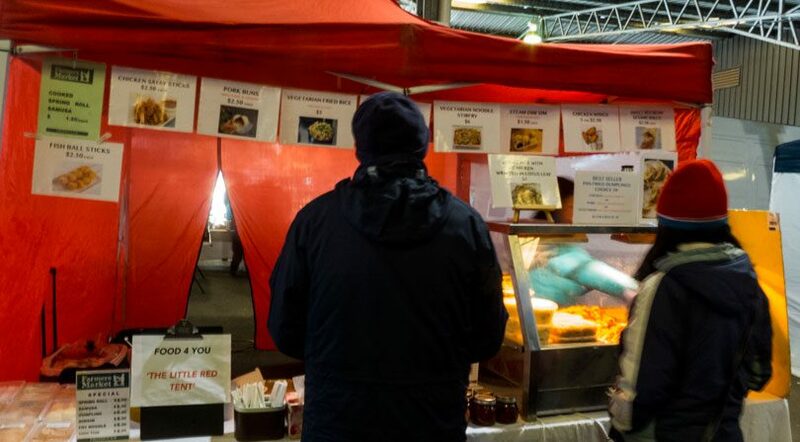 Having written this post –my thoughts have turned to those Asian snacks sitting in the freezer from Food 4 You – in ‘The Little Red Tent – time for a Samoa – or three.